It's contest time again! 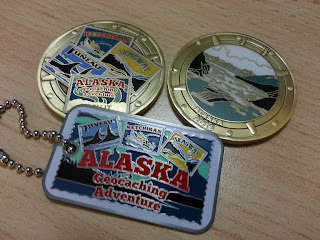 So Geocachers, how would you like to win these for your collection? 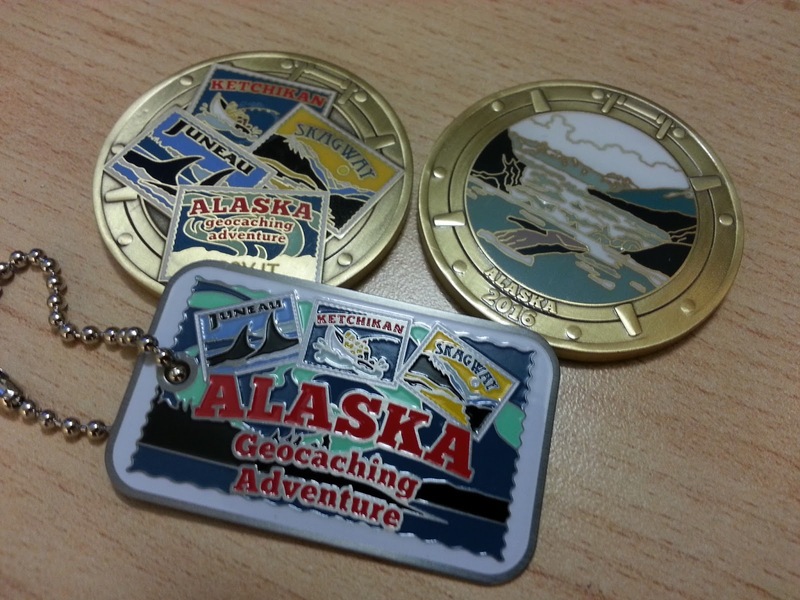 Our friends at Landsharkz have generously donated a set of the geocoin and trackable tag created for their 2016 Alaskan Geocaching Cruise Adventure, and you could be the new owner! This contest is super-easy to be entered into, and we'd love to see you be able to show off your new trackables, so don't delay! 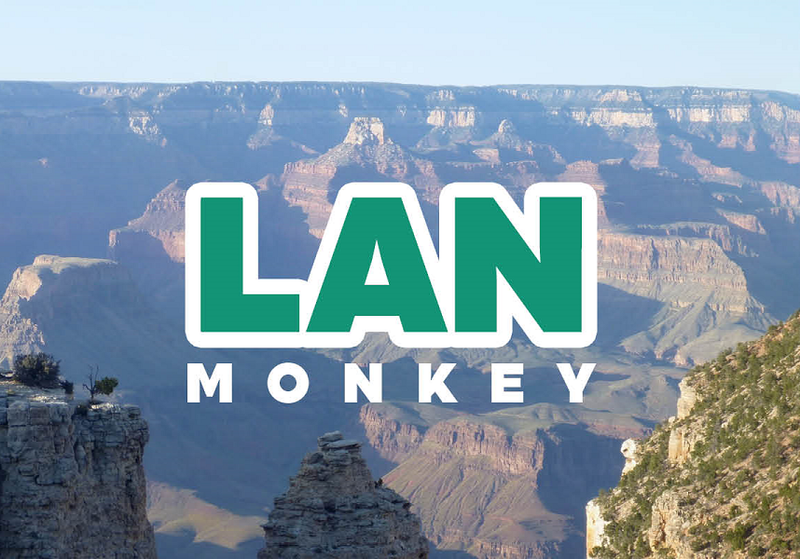 Make sure you send your email BEFORE 9:00pm Pacific on Wednesday Sept 21 and your name may be announced as the winner by the Landsharkz when they join us on the Caching in the Northwest podcast Thursday, September 22 at 9:00pm Pacific. So that's it - email a correct answer and your Geocaching.com name to feedback@cachingNW.com ASAP and you are automatically entered! Good luck you guys, we're looking forward to hearing from you. And remember, whether you are entering geocoin contests or moving trackables; to cache safely, and cache often!